When calculating a schedule, Portfolio considers causal dependencies between issues. A dependency is a relationship between Jira issues where one issue blocks, or is blocked by, another issue. The prioritization of issues resulting from the set of defined dependencies may result in a conflict with the rank prioritization of Jira. Such a conflict occurs whenever a high priority issue depends on the finalization of a lower priority issue. Portfolio lets you control how these conflicts are resolved. Either the priority of the required issue is considered to be equal to the blocked higher priority issue, or the effective priority of the blocked issue is lowered to one of the required issues. A third option is to disregard causal dependencies altogether. In your plan, go to > Scheduling > Scheduling options > Dependency scheduling. Select the option you want to apply. By selecting this option, you're choosing to have a dependent issue moved below the required issue. This implies that the required issue will be scheduled before the dependent issue. In Portfolio, rank is represented by the numbers located underneath #. Story 1 - This story is the highest ranked issue in your plan and is blocked by Story 4. 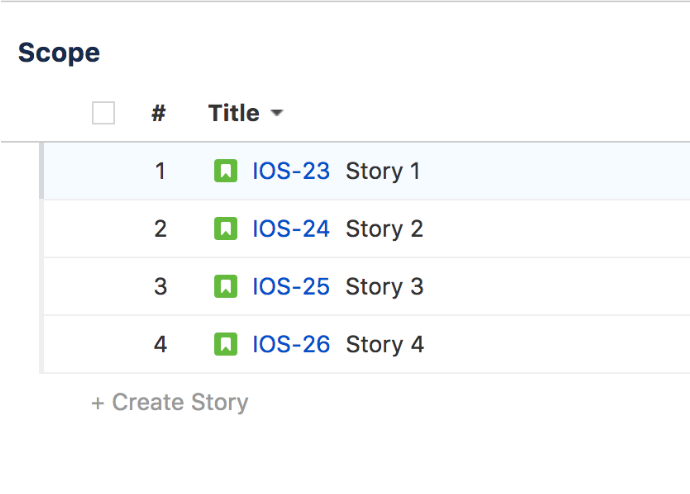 Story 4 - It is ranked lower than Story 1. 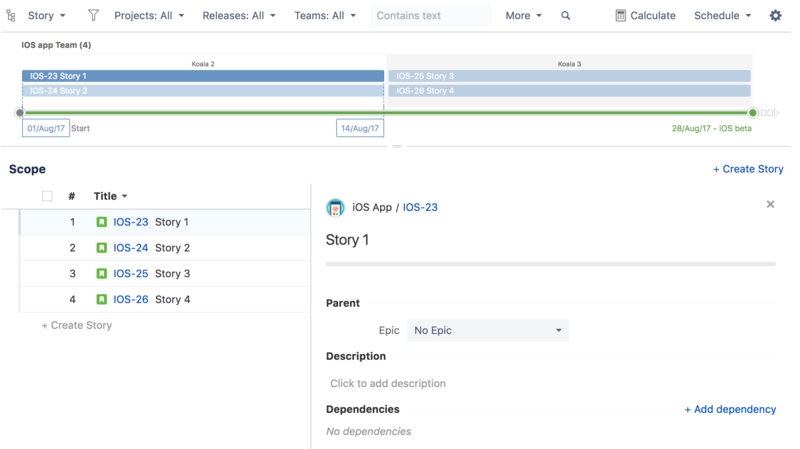 This dependency scheduling option forces the schedule to move Story 1 below Story 4 during scheduling. The stories between Story 1 and Story 4 will be moved before Story 4 and Story 1. By selecting this option, you are choosing to have a required issue, moved above the dependent issue. This implies that the required issue will be scheduled before the dependent issue. In Portfolio, rank is represented by the numbers located underneath #. When you select this option, you're telling Portfolio to move Story 4 above Story 1 during scheduling. The schedule ignores dependencies and takes the issues' standard ranking.